Adults can get some pretty serious health benefits from green smoothies, but my vegetable smoothie blender is primarily used for kids. Having the ability to make a quick, delicious snack (or meal) that’s chock full of important vitamins, minerals, and nutrients makes it easy to ensure that the picky eaters in your family get enough veggies in their diet. Instead of trying to think of creative ways to get the little ones to force down some Brussels sprouts, you can simply throw some spinach, kale, and sprouts into your blender and give them a liquid delight that they’ll actually enjoy. Whether you’ve got kids of your own or you’re looking to make some delicious green smoothies, it’s important to have a blender for green drinks in your kitchen. In this article, we’ll go over some of the top products on the market and discuss their pros and cons. We’ll also talk about why the blenders we chose work so well for green smoothies. When people ask for a good blender for green smoothies, the Vitamix Explorian is one of the most popular answers. It’s a terrifically over-engineered machine, 2 horsepower of cutting force and a 1350 watt motor. The simple controls, durable hardened blades, and rugged blending container all work together in a product that will absolutely pulverize any smoothie ingredients that you throw in it. These factors are all important. Green smoothies might not require a special blender per se, but you absolutely want a powerful machine if you want your blender to last. Cheap “department store” blenders have a habit of dying when you feed obviously tough things like ice and frozen berries into their blades day after day. What you might not realize is that plant fibers can be even tougher than frozen ingredients on your blender’s internal components. The Vitamix E310 is powerful and beefy enough to puree your greens with ease, ensuring that it won’t break down after a few months of use. It’ll also blend incredibly fast, since the blades have enough power, speed, and torque to turn your favorite smoothie vegetables into a liquid in record time. In addition to the powerful motor, little details help ensure this blender will last. Metal gearing ensures that the internal components won’t slip or wear out, while the thick, durable blending container won’t shatter during normal operation. Perhaps most importantly, it’s designed with foods of different temperatures in mind. I know at least one friend who has broken their blender bowl by shocking it with ice cubes after washing it in hot water. I can’t say for certain that this blender will NEVER do that, but I am confident that it won’t happen for a long time. Vitamix is too. They offer a pretty generous 5-year warranty standard on most of their blenders. While this is a basic model, they’re still more than happy to assist with any issues that pop up during the life of your blender. One of the most important features of this blender is its ability to self-clean. After making a particularly sticky batch of green smoothie, you can simply put a bit of dish soap and some water in the blender bowl, put the lid on, and blend it on high for a few seconds. The powerful motor will drive the soapy water into every part of the interior of the blender, cleaning it for you in less than a minute with practically zero effort. Vitamix is keen to tout a number of other features: the ability to “heat” soup via friction, for example, making things like butternut squash soup incredibly easy, as well as coffee grinding, ice-cream making, nut butter-making and dough-mixing functionality. These recipes work surprisingly well with this blender, making this a brilliant tool for any kitchen that wants a device that can perform tasks other than making vegetables mushy. There are a handful of cons here. For one, this is not a juicer. This will be a universal con for all of the products presented here. You cannot make smoothies in a juicer. Juicers are specialty devices that strain out solids while preserving the liquids in your food. Blenders, by contrast, use spinning blades to chop your food up into lots of tiny pieces. A green smoothie made in a juicer would not be a smoothie: it would be juice. Normally, I’d be hesitant to call this a con, but in this case, it’s worth noting that juicing and green smoothies are different ways of making your daily serving of veggies more palatable. Green smoothies are arguably healthier due to their inclusion of plant solids as well as the liquid stuff, which gives them the ability to have more fiber and other important nutrients. As an aside, you could use this as a green juice blender by blending fruit and then filtering it somehow to make juice, but that’s not a thing I’ve personally experimented with. I’m happy to stick to smoothies for now. The two biggest cons of this blender when compared to other similar models are the noise and the price. For me, both of these “cons” are totally justified. This blender is an incredibly high value purchase due to its power, longevity, and ease of use. I think that it outperforms cheaper blenders by more than enough to make it worth buying in most cases. The other downside, noise, gets a lot better when you consider how powerful this blender is. The 2 horsepower motor is stronger than the 2-stroke engine you find in some power tools. Despite this, this isn’t the loudest blender on the market. Instead, it’s simply a bit too loud for other people in your house to ignore. The sheer power of this blender makes it the best blender for kale, spinach, chard, dandelion greens, collards, or whatever leafy green you prefer to make your green smoothie out of. It’s the best machine for anyone who wants to make smoothies on a regular basis due to its rugged internal components, big, beefy motor, and the host of other kitchen tasks that it can assist with. While it’s a bit pricey, I think that the additional features you get by choosing this Vitamix are worth it more often than not. 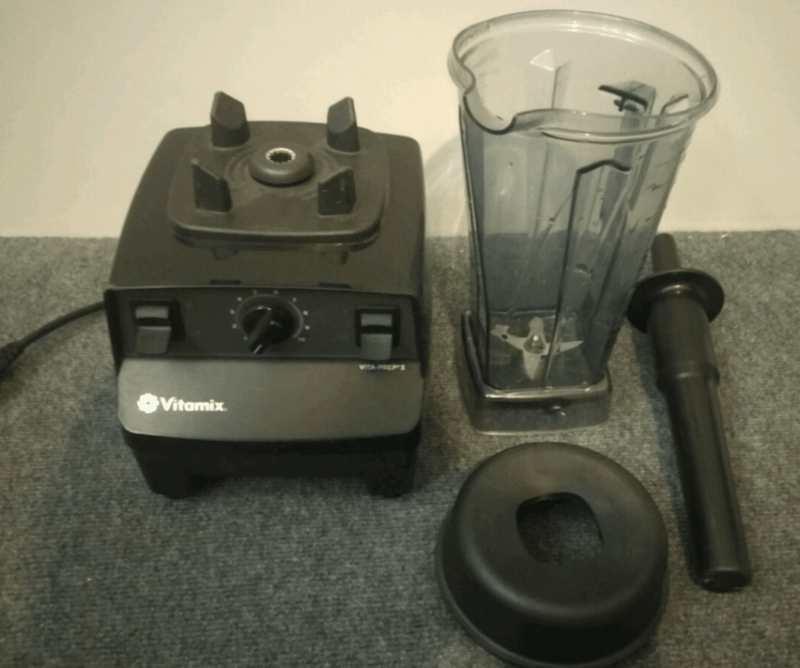 One thing to note: this Vitamix Explorian is also available as a refurbished unit. You don’t save a huge amount of money in most cases by choosing this factory-certified option. Instead, you get a bigger tub, which is a pretty nice bonus in some households. Be sure to check both options out. Renowned for their household juicing machines, Breville is no slouch when it comes to blenders. This 1100 watt machine is tuned not for power, but for convenience. It’s quieter, smarter, and incredibly easy to use. If you want a blender that provides a slightly more pleasant user experience than the Vitamix above at the cost of raw power and durability, the Breville BBL620 is your best choice. First of all, let’s talk about noise. The Vitamix Explorian is pretty loud. Granted, it’s quite quiet for its power, but that doesn’t make it any less noisy when it’s chewing through a fresh batch of frozen fruit. A large amount of the noise it generates comes from the fact that it’s a big, beefy behemoth of a blender. The Breville BBL620 is a smaller, smarter machine. It runs noticeably quieter, no doubt partially due to the lack of raw torque behind the blades as they spin. Nevertheless, this makes making your morning smoothie into a much more fun experience. As far as functionality is concerned, the BBL620 is quite close in most meaningful ways. It blends, it can be used to blend soups (but probably not cook them), and it can perform a handful of food processing tasks when it’s time to make something a bit less liquid. It doesn’t seem to struggle unduly with ice, frozen fruit, or other common things that you might want to blend. In other words, it’s very good for green smoothies. 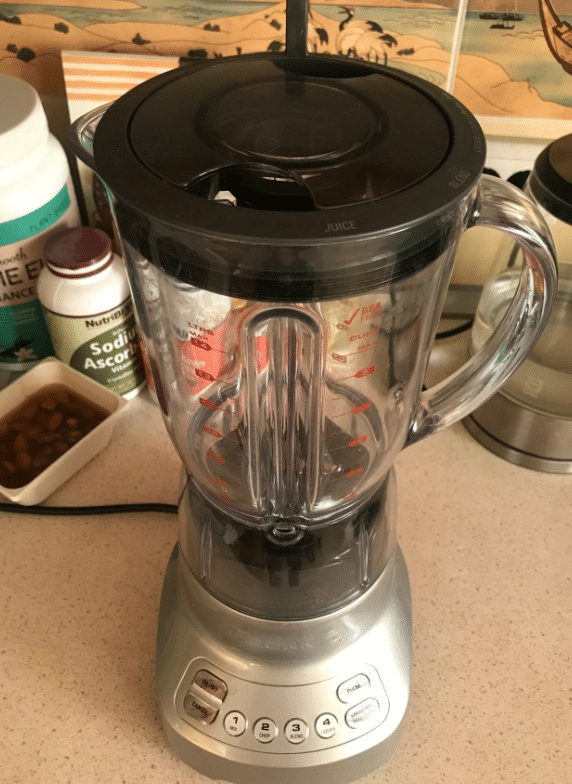 The controls of this blender are more modern and user-friendly than the simple knobs on the Vitamix above. Not only do you get several buttons and a built-in timer that prevents the motor from overheating, you also get a handful of preset functions, including a green smoothie button. This lets you turn your blender on with a single button press, walk away, and come back to a smoothie that’s blended nearly perfectly. Admittedly, this blender isn’t that impressive as far as modern electronics go. You can’t adjust the pre-programmed blend modes, unfortunately, so if your smoothies are a bit tougher than the ones that Breville thinks you make, you’ll find yourself using an old-fashioned timer instead. The LCD displays the power level of the blender and not a lot else. This definitely isn’t going to hook up to your wi-fi or compete with your other 21st century gadgets as far as connectivity is concerned. While the motor might not pulverize ice or shred fiber quite as effectively as the Vitamix above, this Breville is still extremely durable. It’s got a thick, rugged blender bowl and a sturdy base that’s solid enough for years of use. Perhaps the biggest downside is the lack of stable feet. You’ll probably find yourself putting a hand (or two) on your blender as you use it to keep it from sliding around the counter. The difference in power between this and the Vitamix and this Breville is certainly noticeable, but it’s not going to ruin your smoothies. If you’d like a quieter machine that’s slightly more user friendly in terms of controls, the Breville BBL620 is a perfect blender for green smoothies. It’s an effective, quiet, and durable blender that won’t let you down. The Ninja Professional Blender 1000 lacks the raw power of the Vitamix and the convenience of the Breville. What it does have, however, is value. 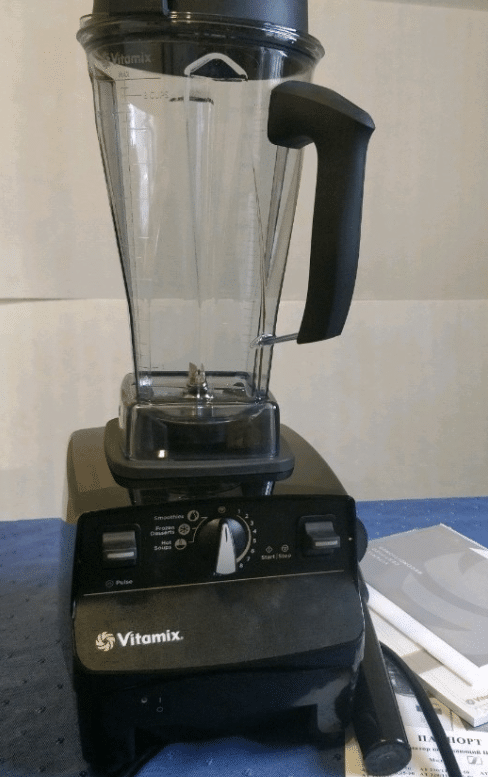 This blender comes with a fairly beefy 1000 watt motor at a fraction of the cost of the other two units. This makes it an ideal choice for a household where money is tight. The Ninja Professional has lots of features that you want for green smoothies, including the aforementioned 1000 watt motor (for smoothly blending everything together quickly) and a big carafe that can hold up to 72 ounces of liquid. It’s also got a handful of blend modes, blades that are specially designed to crush ice, and a somewhat stylish design that helps it to look great as it sits on top of your kitchen counter. It’s also got a long legacy of customer feedback. Sure, Vitamix has been touted by social media gurus for years, but the Ninja is the choice of everyday folks all over the world. 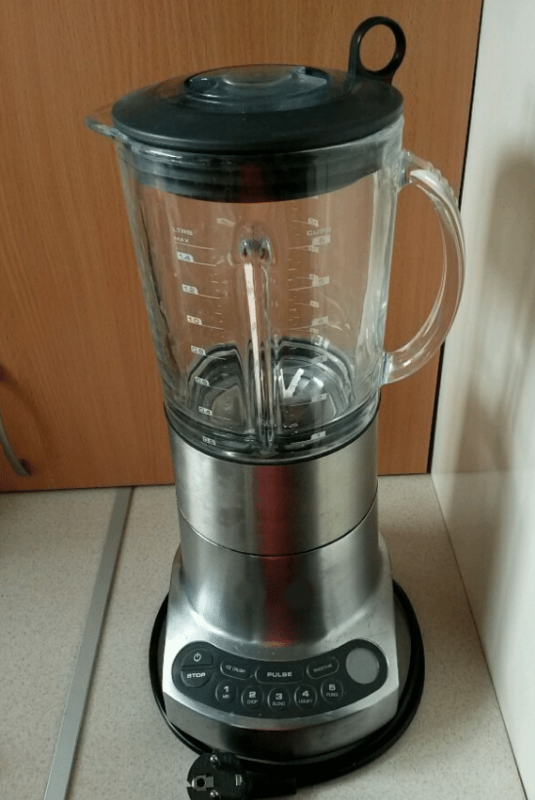 This cheap blender is a customer favorite on Amazon and has a long trail of happy customers who have used it once or twice a day for months or years. Unfortunately, that “years” number is not guaranteed. While the Ninja is cheap and effective, it’s not consistently durable. Many customers report issues with their carafes after a few months or years. 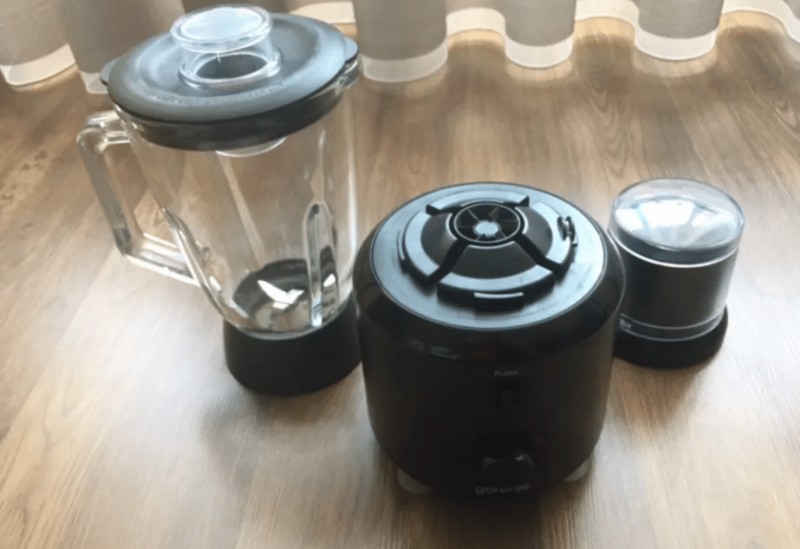 Being careful to avoid thermal shock, storing your carafe properly, and taking a few other precautions can help lower the risk of your blender falling apart early, but there’s always a chance that you’ll be replacing this device sooner than you expected. I can’t say for sure that the Breville or the Vitamix will last longer — accidents do happen, and formerly-consistent companies sometimes decide to take a turn for the worse and sell terrible products. What I can say is that I would not recommend this blender over the other two options if you know you’re serious about green smoothies. The risk of it breaking is slightly too high for me to justify the savings over the more powerful Vitamix or the more luxurious Breville. I’d rather get an expensive blender that lasts 5 years than 3 cheap blenders that last less than 2. If you’ve just caught the green smoothie bug, however, or you’re not serious enough to be in the smoothie-per-day category yet, this is an excellent blender. It’s a perfect kitchen tool to have around for parties and social events, too, due to the big carafe and incredible efficiency at which it blends ice. While it might still break eventually, it’s an inexpensive way for you to experiment with the world of green smoothies without committing to a fancier machine. Green smoothies consist of three basic parts: your dark leafy greens, your liquid, and fresh (or frozen) fruit. It’s totally fine to make green smoothies in a normal blender – at first, anyway. After a while, the stress of making one or two big smoothies every day might wear out a cheap blender over a surprisingly short period of time. The Vitamix, the Breville, and even the cheap Ninja above all have one thing in common: power. They’ve got electric motors that deliver 1000 watts or more of peak power. 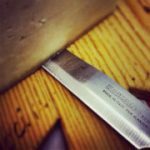 This is brilliant when it comes to pulverizing frozen fruit or tearing a fibrous bit of kale to tiny pieces. 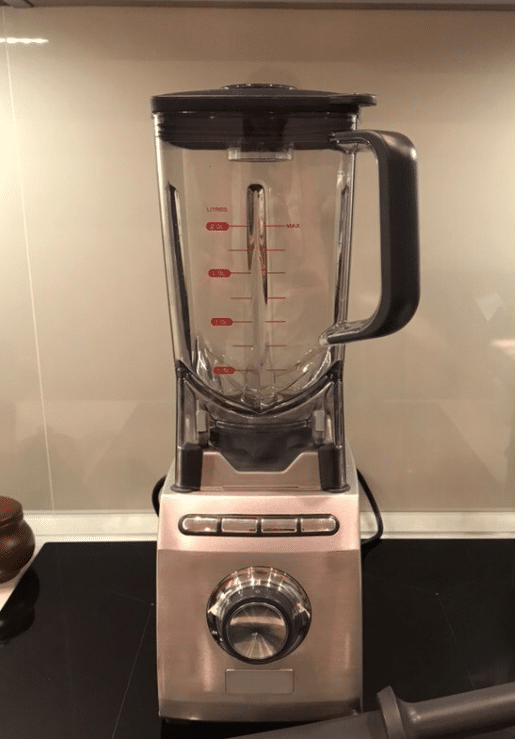 An underpowered blender will struggle with the task, taxing the motor, which will make things take longer and potentially even overheat the motor if your smoothie is too large. Beyond the raw metric of power, look at a few other basic features. Does the blender have a speed for all of the tasks you want to use it for? A simple two or three speed blender is perfect if you just want to crush ice and gently puree the occasional squash soup, but it’s not going to cut it if you need more control over your speed. Think about the sorts of things you’ll want to use the blender for and whether or not the machine you’re considering will support those applications. Speaking of additional tasks, poke around on the packaging to see what the manufacturer thinks the blender can do. A normal blender can be used for lots of creative tasks, including churning butter or making pesto, but some will do far better in these off-the-wall applications than others. If you’d like to make nut butter, for example, you’ll want a big, powerful blender like the Vitamix that can handle lots of nuts with very little liquid. The size of the blender bowl or carafe is an additional issue to consider. Generally speaking, you’ll probably be making a smoothie with less than 10 cups of ingredients at a time, but this isn’t the only thing you’ll use your blender for. If you’d like to make blended drinks for a party, for example, having a gigantic carafe would prove incredibly helpful. See if you can purchase replacement blender pitchers on their own. This is usually a good sign, since it means the company thinks the base will last for a long time. If you’d like the best blender around for green smoothies, you’ll probably want the Vitamix Explorian. It’s a no-frills entry-level Vitamix that has an overabundance of power and incredibly sturdy construction. Not only can this behemoth make green smoothies with ease, it can also pulverize nuts and turn them into butter, heat soups as it blends them, or even grind coffee. For slightly more budget friendly options, consider the Breville BBL620, a quiet, easy-to-use luxury blender. It’s a bit of a step down in terms of power and utility, but it makes up for that by being far less noisy and having a pre-programmed green smoothie mode. It’s a great way to save a few bucks while still getting a nice blender. If you’re just getting into green smoothies and you’re not sure you’ll be making them in a year, consider the Ninja Professional 1000. It’s pretty powerful and has a pretty big pitcher, making it perfect for hosting parties as well as making smoothies. It has a handful of durability issues, however, making it a worse choice than the other two options for people who know they’ll stick with their smoothies for more than a couple years. No matter which of these machines you choose, you’ll love how fast and easy it is to make a green smoothie with them. I love experimenting around a basic formula: 2 parts greens, 2 parts liquid, 3 parts fruit. By varying the type of greens, the type of liquid, and the type of fruit, I’m able to make thousands of unique smoothies that showcase seasonal produce and keep everyone who drinks them feeling healthy and great. 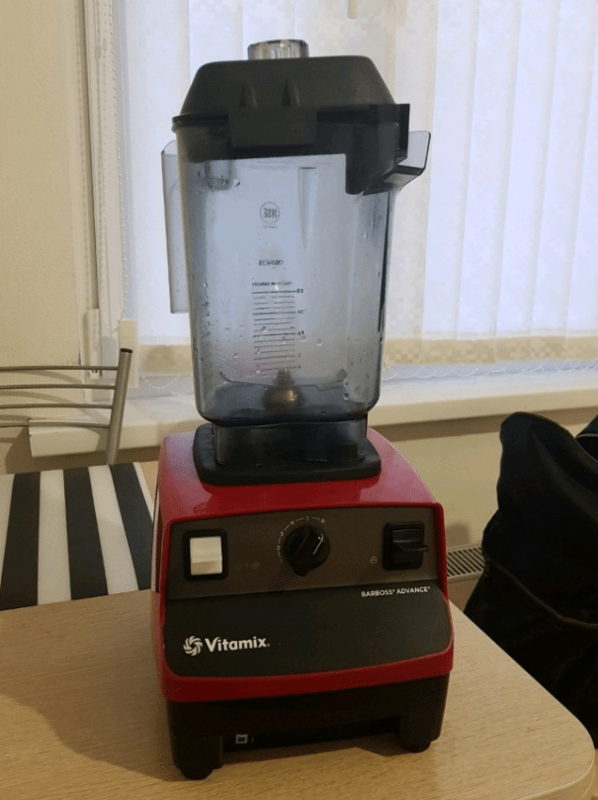 The Vitamix E310 Review – You Gotta See This!